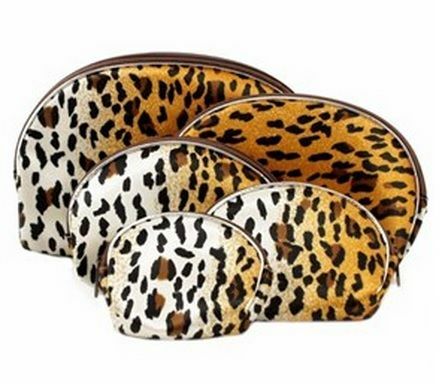 Five piece animal print make-up bag set. fabric bag with mettalic trim Bag sizes range from 8.5cm to 20cm. 5 pieces per set. Bag sizes range from 8.5cm to 20cm.